For additional CSEdWeek ideas, visit the CSTA Advocate, the CSTA CSEdWeek web page, and the CS EdWeek Teacher Site. This will be a short week in school. Thanksgiving is Thursday in the US and my school is off for a five day weekend. I’m looking forward to a bit of a break. I think my students are more ready though. Well let’s share some links. Weeks of programming can save you hours of planning. This is the most retweeted and favorite tweet I’ve done in a while. Wish it was unique to me but the saying has been around for a while. The other CS teacher at my school has this on his lab wall. It’s going up in mine as well. Shakespearean Insult Generator - an interesting project in Python by Simon Johnson @clcsimon. I’m working on doing this with my C# students in C# of course. Seeking study participants: What should BS in CS graduates know about software development? I believe she is looking for people from industry (hiring managers) to reply. Check out the CS Participation Kit and get inspired -- during CS ED Week, December 8-14, or any time of the year! 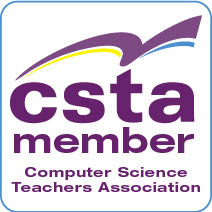 The call went out for Computer Science Teachers Association 2015 Board of Directors Nominations. I’m planning on running again. We’re always looking for good candidates though. How to Not Drive Students Away from CIS my friend Randy Guthrie takes on this tough but important topic. Little evidence to believe 10x programming productivity gap. Doesn't matter. It's an education problem. Great piece by Mark Guzdial. Nice article by Pat Yongpradit. Should we teach computer science in elementary school? My vote is pretty clear. In 1942, when computers were human and women were underestimated, a group of female mathematicians were recruited to complete secret research for the US Army. Top Secret Rosies: The Female Computers of WWII is a one hour documentary that shares the little known story of the women and technology that helped win the war and usher in the modern computer age. I show this movie for several reasons. An obvious one is to show how women have long been involved in computing. Their role has been ignored far to often. The students, not surprisingly the girls especially, notice how women were not given full credit for their work at the time. This is a great starting point for conversation. I want my students to understand though that women have and continue to contribute important things to computing even when men are getting most of the attention. Another, perhaps less obvious, reason is to help students realize how important the software is to the hardware. When I hear students, mostly male this time, talk about the hardware specifications of computers, tablets and cell phones I realize their don’t really appreciate the importance of the software that makes those devices useful. The movie highlights how important the work of these pioneering women was in making the computer actually useful. I also like how they talk about the women debugging the hardware by knowing the complete system so well. We often talk about Ada Lovelace and Grace Hopper when we talk about the history of computing and software. These are important people but there are more women we can talk about and show as examples for all of our students. Last week was crazy for me. Professional development day last Monday and Veterans Day on Tuesday just made things start differently. Friday was a travel day as I flew out to Tucson AZ for the CSTA Board meeting. CSTA members you have some great people on the board (and me too). We had a great couple of days worth of meetings. I spent less time on the internet than usual. You may have noticed blog writing has been less lately. But I do have a few links to share anyway. Great "Faces of Computing" contest due Nov 20 2014. Still some time to get student entries in. This Binary number game from CISCO can be addicting. It’s one of the resources listed on my Resources For Teaching Binary Numbers blog post. Someone tweeted about it and set me off playing for a while. So I thought it worth a reminder to others. Have you been to the Summit? a report on the AP CS Principles summit that was held this past summer. Computing Is The Safe STEM Career Choice in 2014 is an interesting article at the blog@CACM | Communications of the ACM. ACM's Turing Award Prize Raised to $1 Million – This is great news for this award. The Turing Award is the closest thing to a Nobel Prize in computing. Google is putting up money for this which is create. I’ve already seen enhanced news coverage of this award. Dear Senator Ted Cruz, I'm going to explain to you how Net Neutrality ACTUALLY works from The Oatmeal who gets serious for a change. This is an issue I’ve been having my students discuss in class. Blatantly stolen from the CSTA announcement mailing list. We want to hear from all CS teachers! We are calling on YOU to participate in CSEdWeek activities December 8-14, 2014, and to let us know what you are doing to celebrate. Please take a look at the Participation Kit for CS teachers developed by a team of CS teachers and supportive community folks at www.csedweek.org/csteacher. You can also get to the Participation Kit page from the main page,www.csedweek.org, and clicking on the big red button “Are You a CS Teacher?” These resources are here for teachers looking for various and different ways to celebrate CSEdWeek in addition to Hour of Code. In addition to resources, there is an event calendar and map for teachers to post what they are doing for CSEdWeek. We want you to participate by going to the event calendar and submitting your activity or event to share with the CS Education community. Click here or on the Tell Us​ button from the website to add your event. There is a searchable calendar of all events across the country. You can search by grade level, type of event, or even geographically. There is an event map where you can see what is going on in your area. Please show your support for CS Education by submitting your event or activity today! Initially this feels good for me. I like Visual Studio and .NET. Specifically Visual Basic and C#. I wonder how this is good for Microsoft though. I also wonder how much development will actually take place on .NET with it being open source. Is this throwing .NET away in reality? The announcement linked to above says that Visual Studio 2015 is “[b]uilt from the ground up with support for iOS, Android and Windows” And I see that the new Visual Studio has an Android emulator so there is that. There is a lot more to read about this move. And we’ll have to see how soon and how well the promised cross platform software develops and makes it into the wild. In the mean time I am installing the Visual Studio 2015 Ultimate preview so I can start trying things out. What does this mean for education? That’s the big thing I want to figure out. Initially it suggests that schools teaching using .NET languages can easily move to mobile development not matter what mobile platform them want to use without having to pick and teach several development tools and languages. And Apple Mac schools can now use Visual basic which I still believe is a wonderful first language for teaching. What else? Still trying to figure that out. I didn’t get any heads up on this so I have no idea what the message for educators will be. Parent teacher conferences last week made for a couple of long nights. I confess though that I enjoy meeting parents and talking about their children. Some interesting stuff came though my sources last week as well. Here are a few of them. A self driving car is cool but this project from Microsoft that helps blind people navigate is amazing. It inspired one of the best headlines ever by Tom Warren: "Microsoft had to blindfold me so I could hear the future"
Biddle Bytes: First Grade Impressionist Landscapes This is the sort of thing I’d love to see more of in terms of using technology to teach more subjects. in this case using Paint to teach art. Open sourcing Twitter emoji for everyone. I’m wondering how I can use that in projects. 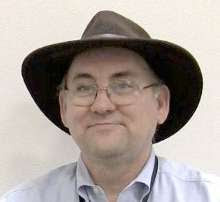 Speaking of Christian Thompson, he has a series on creating a text based adventure game in Python. I love this meme image. When I tweeted it there was a lot of activity on it so I suspect it resonates with a lot of people. Most people who understand what computer science is will quickly agree that teaching office applications is not teaching computer science. On the other hand one certainly can use some of those applications to teach computer science. Excel comes to mind immediately. Personally, I think one of the great unexploited opportunities is in the teaching of spreadsheets for computation. In the real world, all sorts of people use it as their primary programming mechanism; I argue that Excel is maybe the world’s most widely-used functional and reactive programming language. In our Explorations of Computer Science class we use spreadsheets to look at data of various types. We use sorting to help organize the data. We use conditionals as well. We use IF statements, conditional formatting and other forms of decision structures in our processes. These are all computational (even programming) concepts. Students learn about Boolean expressions even if they don’t always realize that is what they are doing. I’ve long advocated the use of computing (with or without programming languages) across the curriculum. Treating all subjects in isolation seems wrong and a poor preparation for life outside of school. With the school day already so full in most schools it would seem that finding ways to use software, like spreadsheets, to teach in other subjects would be a natural idea. Teaching spreadsheets for the sake of teaching spreadsheets is wasteful. Teaching students how to use spreads sheets to solve problems and to better understand the numbers involved in science and social studies on the other hand kills two birds with one stone. Interesting week last week. We finished the first quarter in school. For me a bit of catch up on grading. Not my favorite thing that. I didn’t blog a lot but one of my posts asked the question Is a CS degree harmful for professional developers? and has attracted20 comments so far. Anyone have anything to add. Calling all CS educators: @codeorg needs your help choosing tutorials for the #HourOfCode. Rate them now. Great chance to get your opinion in on what is good and not as good. "In addition to many thousands of software professionals, we need far more software amateurs." argues Tom Davenport (@tdav) a Distinguished Professor at Babson College. I found this brief history of programming languages that makes for an interesting read.